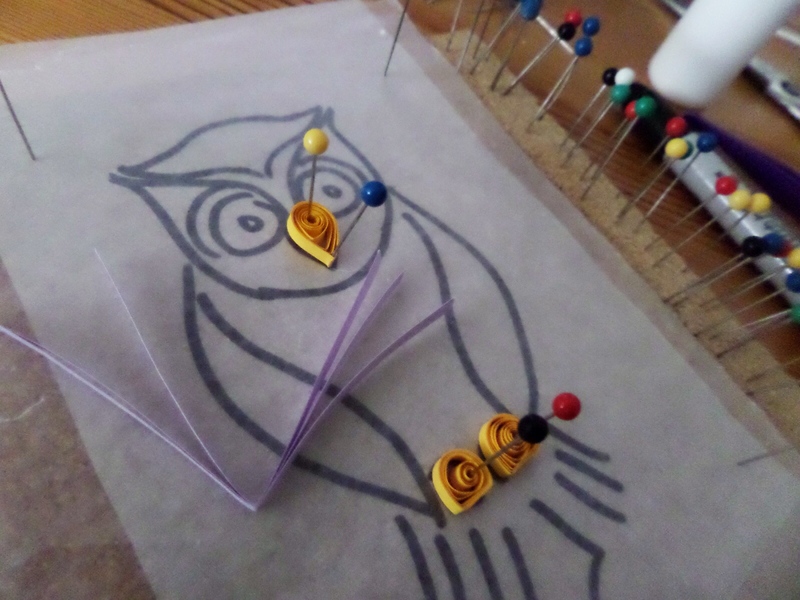 I’ve had some questions lately about how I create some of my quillings. At the risk of spilling all my secrets, I thought I would use my latest shop listing to have sort of a mini-tutorial. 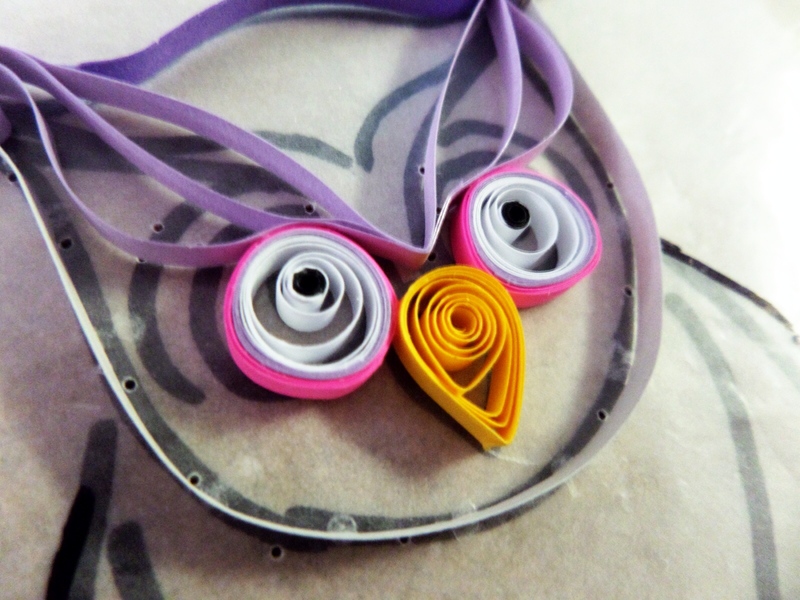 An owl quilling was suggested to me a little while ago, and, after a new shipment of paper strips, I finally had my color inspiration! I always begin with a simple sketch in my favorite notebook. Since I usually quill my items to be about the same size, I can pretty much eyeball the dimensions now. When I’m happy, I trace the sketch and pin it to my work board under wax paper. 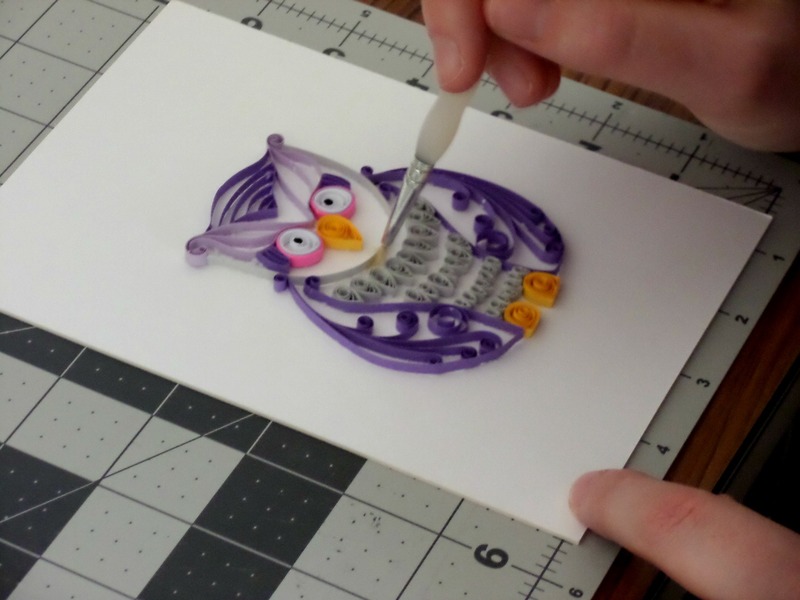 Then the quilling begins! I tend to work without a real plan. You can see in the owl’s face I had to change the line of the eyebrows from my original thinking. Just roll with it! 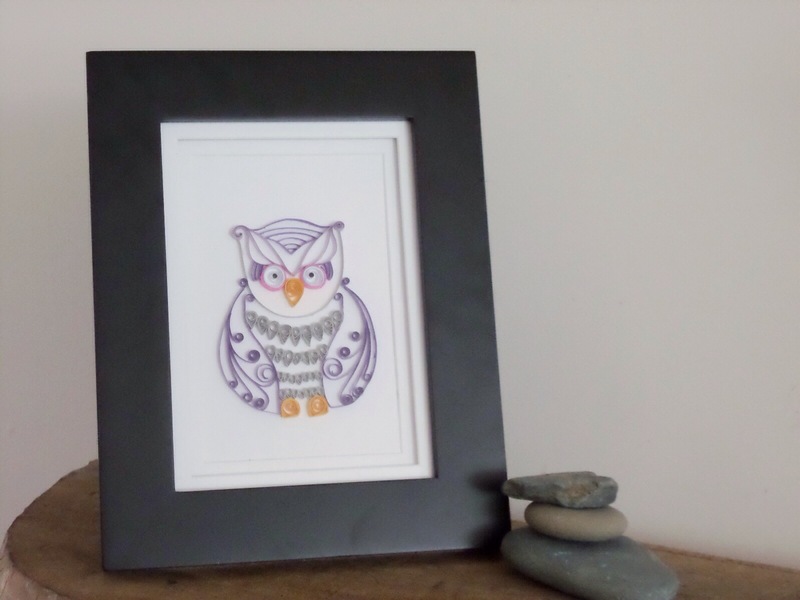 Fast forward to a completed owl! When all my paper has been glued and everything is dry, I peel it off the waxed paper. I take my teeny, tiny scissors and gently remove all the excess glue from the back. 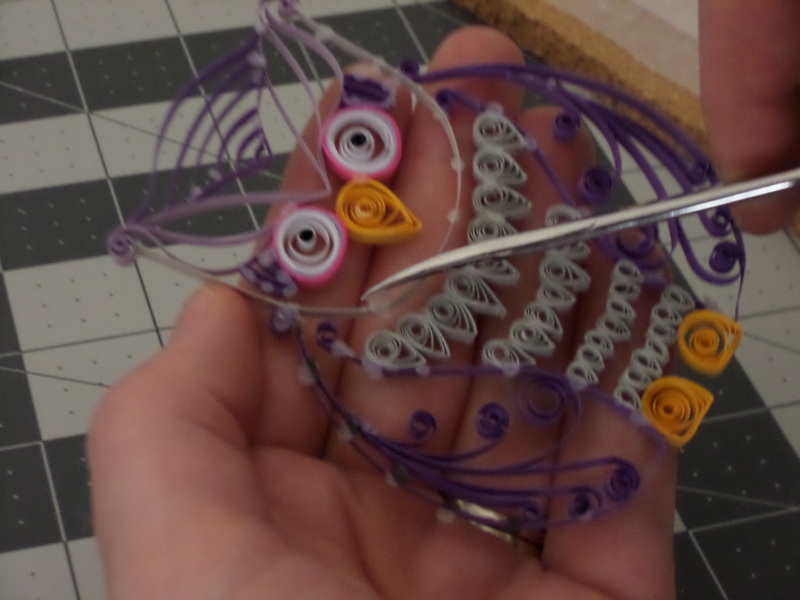 I’ve been known to accidently snip some of the quilling paper at times. No big deal; I usually can get away with making a patch from more paper and no one is the wiser! Next comes more glue. Things move fast at this point. I’ve learned to make sure that I have the board that I’m going to mount my finished product ready and close by. 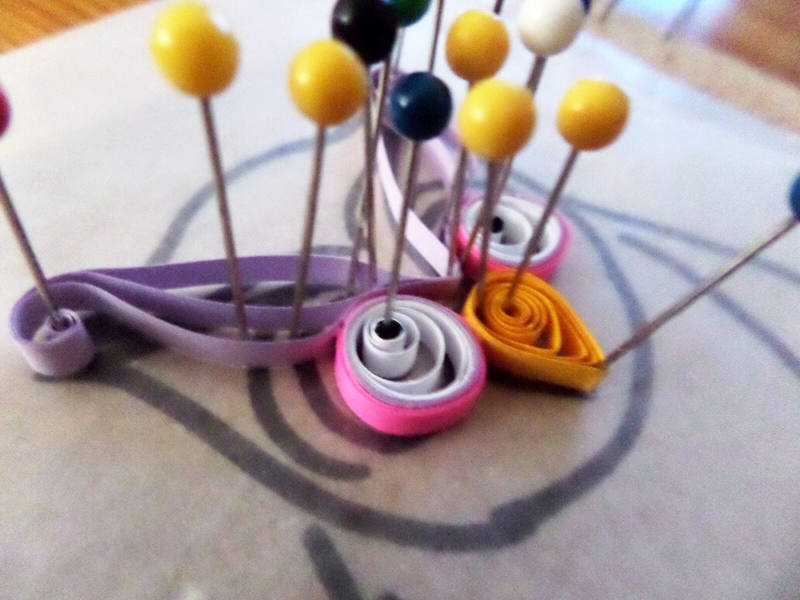 After I dot on my glue to every line, I quickly flip my quilling centered (fingers crossed) on the board. All that’s left to do at that point is wiping up any excess glue. It’s not a bad idea to cover your final piece with a flat surface with a light weight on top to ensure it dries completely flat and level. 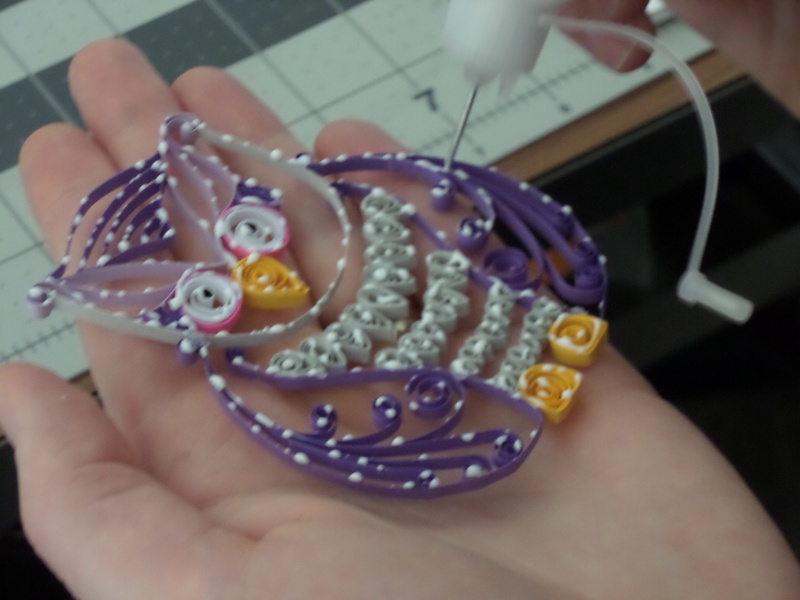 I’ve had more than one quilling dry wonky. Once everything is dry, feel free to display your fabulous paper creation how ever you wish. But, most importantly, have fun!